Great-great grandpa Salvatore passed his skills along to his son (and our great-grandfather) Dominic, who migrated to Brooklyn in 1903 and continued the family's winemaking tradition in America. He carried on the Scotto heritage with his sons who sold their father’s homemade wine in five-gallon crocks from the family's horse drawn cart. After Prohibition, Anthony Sr. (our grandfather) and his older brother Sal created Villa Armando (nicknamed Rustico), which is still produced today and is available at Scotto's Wine & Cider. If you’re interested in an authentic, Old World style wine that has filled 200,000,000 glasses since its inception, this is it! 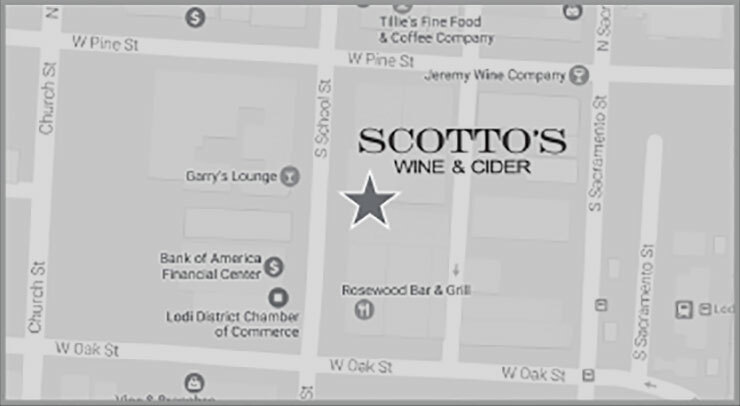 In 1946 the Scotto brothers opened D. Scotto Wines in Brooklyn to sell quality wines from around the world. The store is still open under new owners and was the site of a recent family celebration as seen in the photo below. Just after the harvest of 1963 our family relocated to California to continue making Villa Armando and expand production to other brands and market segments. 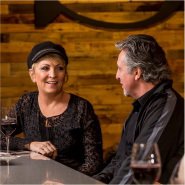 Today we are a 5th-generation family owned and managed wine and cider company. We take pride in treating our team not only as collaborators but also as family members who are encouraged to think creatively and live with a can-do attitude. For five generations our family has embraced the Old World traditions of sharing meals and celebrating meaningful moments with friends. Wine has always been a centerpiece of these events and a reflection of the Italian heritage we so proudly embrace. At The Cider Brothers, our five generations of winemaking experience guides the production of our small batches of handcrafted hard apple ciders. True craft cider, like wine, starts with quality fruit. After almost a year of research and experiments that are ongoing at our family owned Lodi winery, we decided to use fresh apple juice from the Walla Walla Valley in the Pacific Northwest as the base for our ciders. Fresh Golden Russet, Granny Smith, Gala, Fuji and Red Delicious apple juice gives us the combination of flavor, acidity with true apple tastes and aromas that starts every batch. 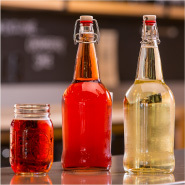 We use our propriety Cold Fermentation process to protect the delicate flavors and balance that makes this Mother Nature’s most refreshing adult beverage. 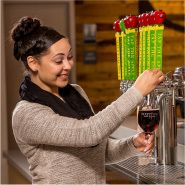 Blending our vinous heritage with today's cider bliss we often include a bit of wine to enhance select ciders that will tantalize both the wine drinker and cider aficionado. The result is our award winning true craft ciders with multi-layered flavors and a clean finish that are refreshingly crisp and aromatic. They are well balanced food friendly and naturally gluten free. 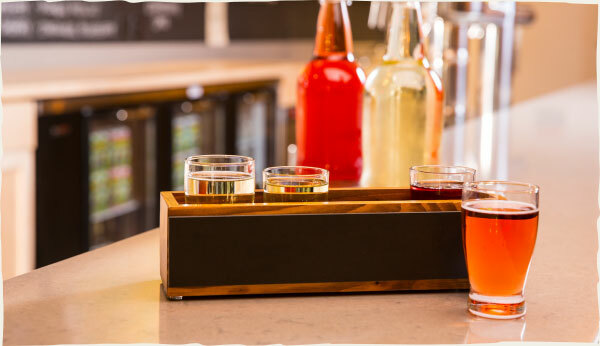 Perfect for that late afternoon toast to the day! Wine has been an important part of our family since 1883 when our great-great grandfather, Salvatore Dominic Scotto, continued the Italian tradition of making wine for the family at his home on Ischia, a small island off the coast of Naples. 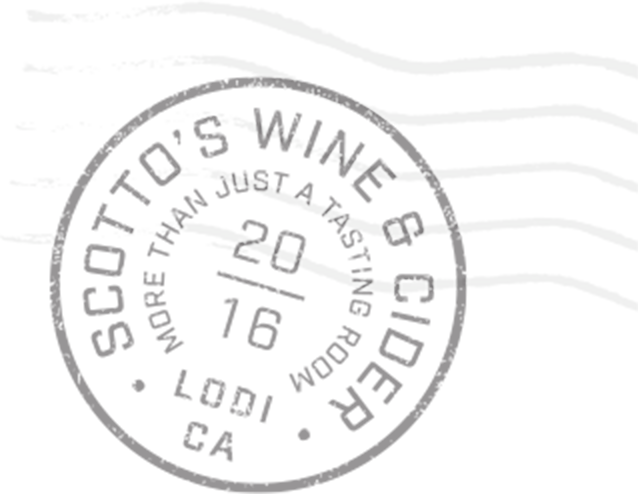 Through the decades and generations many things have changed with the sourcing of grapes and the process of making wine; including our family's migration from Italy to Brooklyn in 1903 and then to California in 1963. But much has remained the same, with our quest for quality fruit from lower yield vineyards along with state of the art production methods and equipment to produce superior wines for our family and yours. 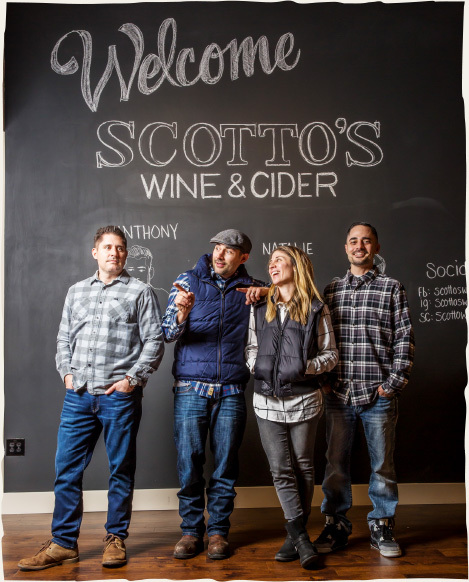 Each generation had its winemaker and today, ours is Paul Scotto. And each generation had its sales "personality" and now Anthony III (A3) fills the role. 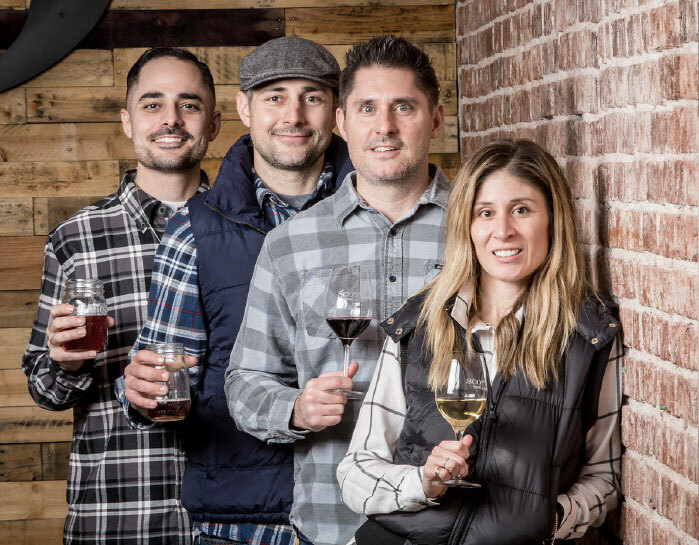 Both Paul and A3 work closely with sister Natalie and brother Michael to round out the 5th generation of Scotto vintners. 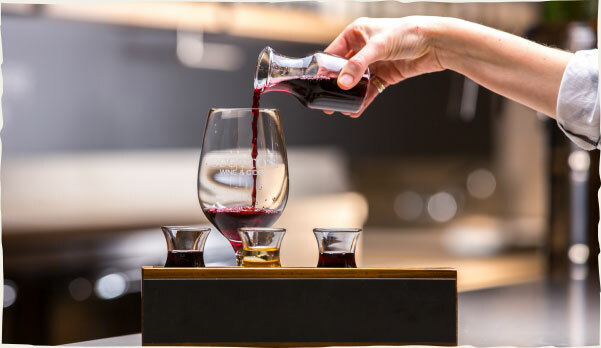 Together they continue to be bring well balanced, food friendly wines at an affordable price to enjoy with family and friends around the dinner table. along with the modern version of America's first adult beverage. Kiara drew a mean glass of Heavyweight Cabernet from the tap and I loved every drop. I knew your wines were always great from the bottle but never thought a wine like this could come from a keg just like all the great ciders I've been enjoying at Scotto's. 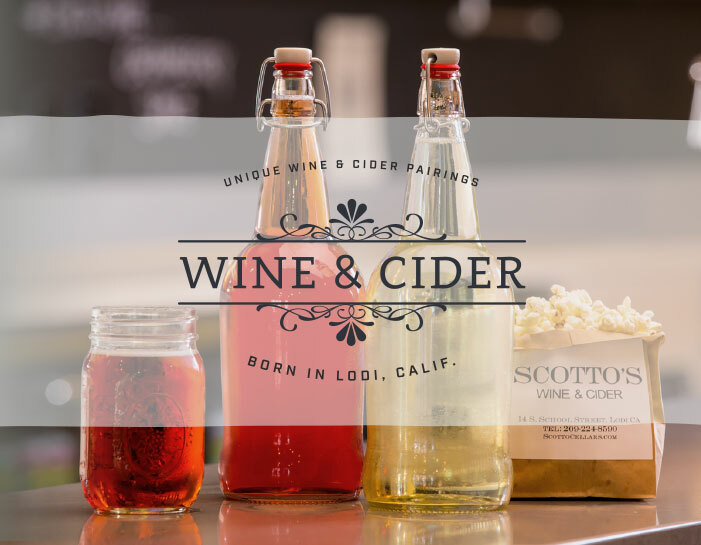 After coming to Lodi for years to taste lots of fun wines and beers I discovered Scotto's Wine & Cider where I had so much fun sipping on both while munching popcorn and rocking to the music. I'll be back soon! I was always a beer freak until I discovered William Tell Cider. It's just a cool refreshing way to end the day on tap in the tasting room in those clever little jars, or at home from the growler. 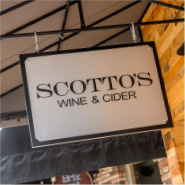 I love the themed days at Scotto's where we can just hang-out and enjoy something different all the time. Live music on Fridays is special is a great way to relive my youth and finish off the weekend.